Most of us remember not that many years ago when it was an absolute necessity to have a corkscrew to open every bottle of wine. Of course now there are many screw cap closures which provide an easy opening without the ritual of using one. However most age worthy reds and treasured old bottles still require a corkscrew. There are so many products out there on the market to choose from. Even drill types with interchangeable bits! Such a problem. What to use? I started with the double lever style but quickly graduated to the reliable “waiter’s style” single lever. Still a fav of mine particularly with that silicone coating on the screw. You have total control. Also have used successfully the “Screwpull” and the “Prong” (“AH-So”) types which have their place. 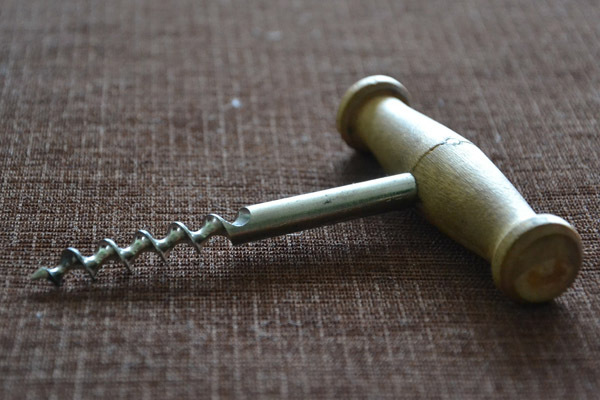 However, the Screwpull goes right through the bottom of the cork which is the most fragile part and does not always work successfully on old crumbly corks. Starting to prefer the last few years the “Durand” (www.thedurand.com) from Wining Taylors LLC in Atlanta Georgia. I used it this month to open a bottle of 1966 Chateau Grand Puy Lacoste from Pauillac after a difficult cork experience on a previous one I opened. Worked like a charm! Seems to always work though the instructions say “intended to remove only older fragile corks from bottles with an inside neck opening of approximately 3/4 inch”. The principle is a screwed helix into the centre of the cork until a stabilizer bar rests against the top of the cork and then blades go down either side like the Prong to hold onto it. Expensive but very dependable and maybe worth it. Certainly check it out. What is the best corkscrew for you to avoid the cork breaking or the risk of getting crumbly pieces of the cork falling into your wine? What corkscrew do you use? The Fall season has arrived for the versatile underrated vegetable of Winter squashes. These are to be differentiated from Summer squashes such as zucchini. Driving by the family owned Mariposa Fruit Stand on Highway 3 at Keremeos, British Columbia we had to stop attracted by the multi coloured bins piled high. Loaded up our car with several of the many varieties there including acorn, butternut, delicata, turban, kabocha (buttercup), and the newer grey ghost (a kabocha hybrid). Also the new crop of Gala & Ambrosia apples as well. Acorn – smaller green shaped like an acorn, yellow orange inside, harder to peel, don’t keep quite as long, stuff them. Butternut – shaped like a bell or pear with a narrower neck, yellow inside and perhaps sweetest. Delicata – smaller oblong shape like an exotic cucumber with stripes, thin skin, keep shorter time, almost sweet potato texture and corn flavours. Turban – irregular shapes with turban shaped top, milder, for soups, use as decoration like a gourd. Kabocha – round squat like a dark green pumpkin, harder to cut, sweeter orange flesh, less fibre makes for a smooth nutty puree. Spaghetti – oval oblong paler yellow flesh, less sweet, stringy and scoop out after cooked with a fork to make strands. Hubbard – very large blue green thick rough skin, orange/yellow flesh, keep well, milder, great roasted. We successfully grew acorn in our home garden. Except for delicata and spaghetti squash which can be steamed or baked to show off their delicate character this following method should work well for most winter squashes: Cut in half, remove seeds, rub cut surfaces with EVOO and S & P. Place cut side down on parchment paper (www.paperchef.com). Roast 375F until fork tender. Cut surfaces will caramelize. Serve as a versatile vegetable in pieces as a side dish or as a puree by itself or in a soup; in a ravioli; roasted, small cubes in a risotto; in your bread or baking (instead of pumpkin puree in a pie) etc. For a soup you can also use a leek and/or an apple with some fresh herbs or spices to taste. Enjoy! 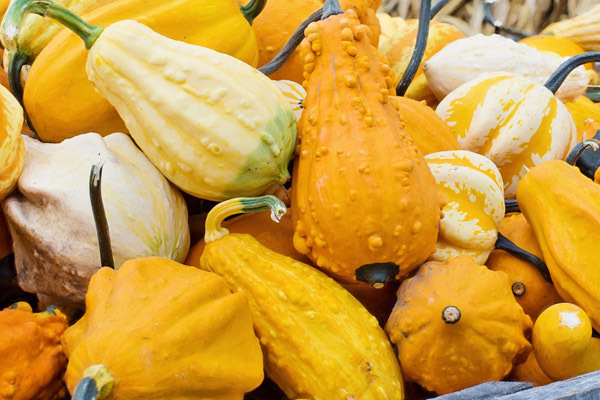 Do you use winter squash? What is your personal favourite variety? Let us have your best recipe. Back from some interesting days as one of nine judges for the yearly BC Wine Awards as part of the Okanagan Fall Wine Festival (www.thewinefestivals.com/wine_awards/british-columbia-wine-awards). Good to catch up with my old time friend Dan Berger from Santa Rosa in California who also does the Riverside International Wine Competition (www.riwc.net). I continue to be impressed with the progress being made by BC wines. After 2 cooler vintages of 2010 and 2011 favouring whites and earlier ripening reds the warming trend of 2012 and especially 2013 has returned. As the picking continues currently it looks like this year should produce some of the very best late ripening red wines ever for the region! You will see the worthy winners for this year’s BC Wine Awards listed on the website. Riesling and chenin blanc especially both varieties from older vines (35+ years) are doing exceptionally well for whites. Syrah, cabernet franc, and pinot noir are improving every vintage and some examples are nearing world class. Always a sense of pride to get outside endorsement and Mission Hill Family Estate Martin’s Lane pinot noir 2011 has done that. It just won in London, England the Decanter World Wine Awards International Trophy for the Best in Show pinot noir priced under 15 pounds. Pretty good for an unknown wine region in a competition of 14,000 wines from 61 world wine regions. Check out some of these improving BC wines! Have you tried any BC wines you enjoyed or that you would recommend? 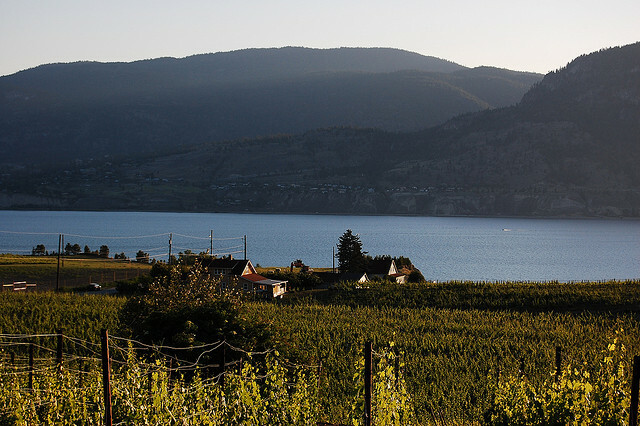 Have you tried wine from B.C.? 1. Taste (40%): Personal based on the flavours with sweet, salty, and bitter elements – sour and umami less involved. 2. Formulation (35%): Quality of ingredients and balance of the recipe. 3. Interpretation (15%): Style and original creativity. 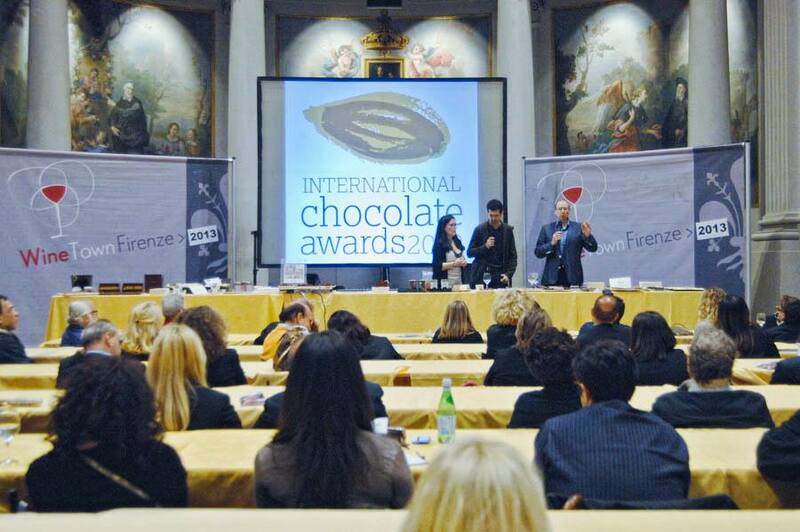 Impressed with the knowledge and conscientious attention to detail of everyone on the Grand Jury including Martin Christy (England), Monica Meschini (Italy), Aubrey Lindley & Jesse Manis (USA – both of www.cacaodrinkchocolate.com in Portland), David Mincey (www.cookculture.com), and Eagranie Yuh (www.thewelltemperedchocolatier.com – who has her Chronicle Books publication The Chocolate Tasting Kit coming out Spring 2014). Our spirited dialogue about the quality of the entries that had survived the earlier Selection Rounds of judging was really a stimulating delight to this former litigator. Discussion included debate on textures, melting feel, over roasting, uneven tempering, air gap between shell and filling, harmonious chocolate/filling match, visual beauty, and so much more. Like the fruit acidity of the grapes in judging wine the fruit acidity of the chocolate can be an important factor to consider in assessing overall balance. I also was fascinated by our palate cleanser of “soupy polenta” from Mulino Marino. In the result we recommended 24 entries (8 gold, 5 silver, and 11 nominations) to go forward representing Canada in the approximately 170 World Final entries. Monitor the winners! The awards were presented at Hodie Rondeau’s www.xoxolat.com (sho-sho-la) for the love of chocolate who even produce 100% edible chocolate shoes coming in many colours, designs and flavours. Vancouver’s Beta 5 (beta5.myshopify.com) collected 3 golds (and a silver) including a dark ganache with a subtle flavour of Fisherman’s Friend (yes the usually strong menthol lozenge), another with bay leaf, and an amazing white chocolate bar so delicious containing EVOO & crunchy pieces of candied black olives. Christophe Morel Chocolatier from Montreal (www.morelchocolatier.com) also did very well with his Palet Or pure Chuao and his “pecan pie”. Maybe even harder more intense work than judging my usual plethora of wine and chef competitions but I really learned a lot that I can muse over while enjoying my daily addiction to quality dark chocolate.